Come and Join the Celebration March ! THE COMMUNITY HAS SPOKEN, NOW COME ALONG AND SHOW YOUR SUPPORT FOR THE LONG TERM FUTURE OF THE POOL. JOIN A CELEBRATORY MARCH FROM KIRKHAM MARKET SQUARE TO KIRKHAM BATHS, ON SATURDAY, 28TH MARCH, AT 10.00.A.M. WE HOPE TO SEE ALL THOSE PEOPLE WHO MARCHED LAST YEAR, WELCOME TO ALL. 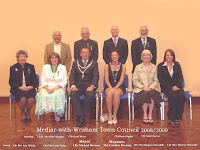 At the recent Wesham Town Council meeting, held on Tuesday 17th March 2009, Cllr Mrs Linda Nulty was unanimously voted to be the Mayor of Medlar-with-Wesham for 2009/2010. Cllr Alan Clayton was elected as Deputy Mayor. The hand over from the current Mayor , Cllr Michael Devaney will be at the annual 'Mayoral Installation' meeting on May 19th. 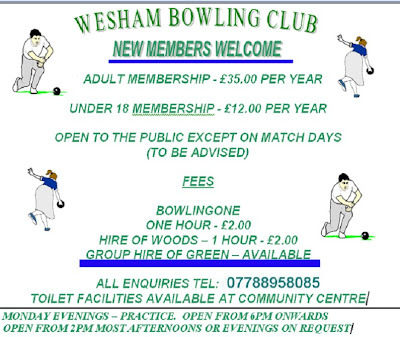 The annual Parish Meeting for all Medlar-with-Wesham Residents will be at 7 pm on Tuesday April 21st followed by the normal Town Council meeting at 7.30pm. 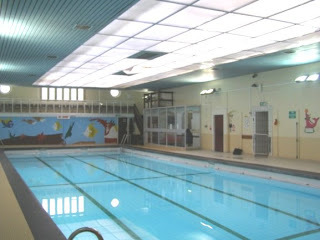 "I should like to thank all those people who have ACTUALLY DONE ALL THE HARD WORK to ensure the future of Kirkham Baths. Thanks to the residents of Kirkham, Wesham and the rural Fylde for their support at all times. Tribute must be made to the members of the Rural Splash group, they are the real reason that the Baths have been saved, they have worked tirelessly since March last year to draw up a workable business plan, they have pioneered the way forward by approaching the Y.M.C.A. with a view to joint working and they have found the way to provide swimming at a much reduced price. Thank you also to Clare Platt and John Cronin for their recent work in facilitating the deal and all the staff of Kirkham Baths for their hard work and loyalty. We move forward to a hopefully successful future, we will continue to do all we can to continue to provide leisure services in the rural area and hopefully improve on our present services."